A Business Plan, completing a Buyer Persona, doing extensive Product and Competitive research is more important now than ever before. Do you feel like you are in a very competitive niche or that the playing field is a little over-saturated? Gain an edge over everyone else that you compete against by doing your due diligence before launching and preparing your business the best you can for success. Creating a business plan in anticipation of producing and launching a new product is the absolute best thing you can do to set yourself up to succeed. 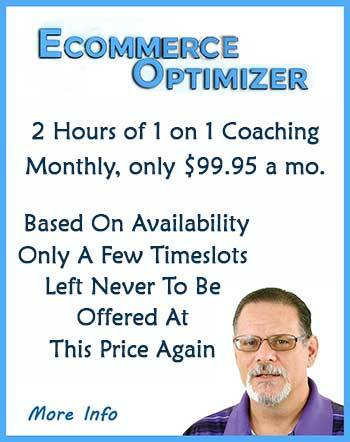 It is a detailed road map for your business for the first 12 to 18 months. You will consider things that you wouldn't think about if you weren't doing the business plan. Things are put in writing that later on when you are overworked and stressed out, you will be able just to pick up, review and gain the needed direction which couldn't come at a better time at that moment. Think about the current new product launch model popular on sites such as Amazon. A seller picks and sources products based on numbers from software. New sellers are getting on the platform with no business experience and outlandish expectations. Then they rush to launch their product with a scant amount of research and preparation in advance of launching. On launch day they do what everyone does, reduce pricing or do huge giveaways to drive traffic and conversions to rank, essentially guaranteeing to launch at a loss. Then they pour on expensive PPC that doesn't always pay off. Failure to prepare and anticipate accurately by completing a business plan ahead of time puts them behind the 8-ball before they even launch. It is a shame to see new sellers struggle like this, but it is their fault for not being prepared and not doing their homework to learn basic business skills before even joining the marketplace. The thought of preparing a business plan is overwhelming to many because they have no idea where to get the information. If you are not willing to make an effort now when you have the time, you need to consider your decision to sell to begin with. What will you do when competition heats up, and a stronger commitment is required to get through tough times? I wrote my first business plan while attending the University as part of the thesis for my degree in 1987. It was tough. I had no computer to use. I had to sleep on the floor at my moms office after working through most of the night typing it on their computer. There was no google to type a question into. I had to network and find participants to survey. Since it was a thesis project, it stretched out over a year, but I learned some critical lessons. Consider this fact. Many businesses seek venture capital funding as part of creating their business. They are required to complete a business plan before receiving any money, before even going into production. My experience with new sellers is that many of them couldn't adequately fill out a business plan a year after launching their product. You are already putting time and effort into sourcing a product, make the extra effort to fill out a business plan thoroughly, it will pay you back in additional sales and piece of mind at times when you need it the most. A key component to a successful business plan is understanding exactly who your audience is, their demographics and their motivations. What drives them to need the product in the first place? 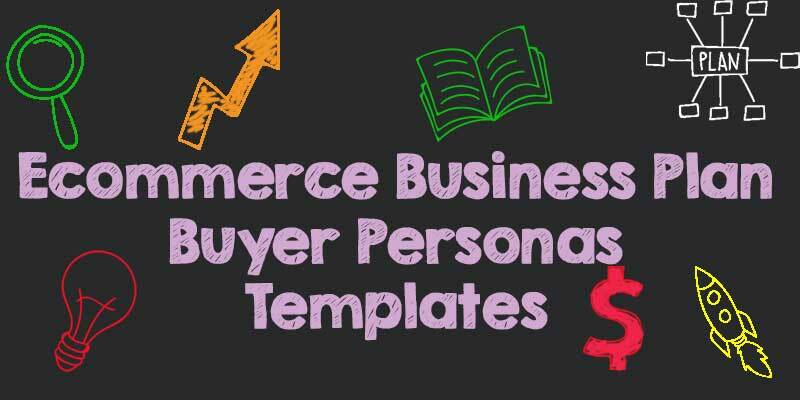 This is accomplished by developing several personas for your buyers. Make sure to get detailed with this, and we recommend developing four personas, two male and two female each at a different point in their lives. 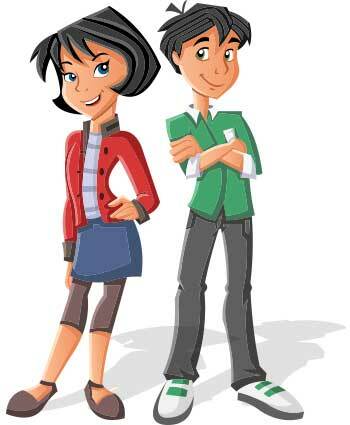 Get detailed enough so that you can visualize them, give them a name, and even find a picture that represents them. Hang them in plain view of staff so they always have an idea of who the customer that they serve is. When you write copy for landing pages and marketing, look at the personas before you write to remind you who you are speaking too. You will be very surprised when you realize that doing this makes it much easier to speak to them through your copy-writing and marketing. It seems like a distraction to many, but the reality of it is, a business plan forces you to consider many important variables that will affect your business long before they occur. It is not uncommon to realize that the cost of doing business is too high to make the product viable. Don't be surprised if you also uncover significant weaknesses in your competitors and identify open markets or keywords that they have overlooked. It’s tempting to dive right into execution when you’re excited about a new business or side project, but taking the time to write a business plan and get your thoughts on paper allows you to do some beneficial things. A business plan helps you get your ideas mapped out. It assists you in getting your priorities straight and laid out in order. The current launch method comes across like plug and play software, but more along the lines of plug and pray, or hope for the best. That is not good business. It also allows you to plan out the path for the business for over a year. Launching is a considerable task for some; having the post-launch phase mapped out can be very beneficial when the time comes. Your business plan will assist you in identifying the next steps, and places where additional strategies are needed. The process of creating your business plan will aid you in setting clear cut revenue amounts and break-even points. Without a business plan, anticipating monetary fluctuations is not as identifiable far enough in advance to make changes and impact it. A proper business plan will add clarity, purpose, and process to your strategic plans moving forward. As part of the process, you will seek out information from others with relevant interests. You will have a chance to create relationships and network forming bonds that will aid you down the line. It also creates a cohesive unit among your staff because you are all working towards clear goals. 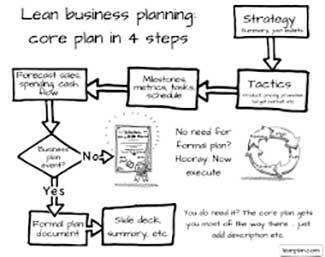 A business plan is also used to secure funding and capital, be it from a bank, investors or even venture capitalists. They rely on the business plan as proof of concept and to show that you have thought through all of the different scenarios. Today we present you with a business plan template. It is much easier to work from a model because it leads you through each area without leaving anything out. The structure of your business plan is your choice. Using it for funding requires an extensive one. As an exercise for only yourself, some of the formalities can be overlooked. Using a template vs. a blank sheet of paper shortens the process as it ties things together for you. A significant advantage of using a template also comes from having guidance on what is expected from each area. If you have not done many of these, that is very helpful. If a SWOT analysis sounds like something you might need to evaluate your ability with a fly swatter, then this template is for you. Completing every section may not be 100% necessary, but without a template, you might easily overlook essential sections. We try to be thorough with everything we do. Over-delivery is standard for us. Meeting expectations lowers the bar for us. Exceeding expectations is the rule of thumb for the most successful in business. Our goal is to get you to think about many different things Exercising your imagination and thought process to broaden the scope of the things you are considering with your business. If you are accustomed to thinking and operating within a box. Start clearing now how to think out of the box. Be prepared to get creative, to try anything within reason Embrace change, it will help you, your business and decision process more than you can imagine. If you need the business plan to secure funding, make sure you verify that this template has everything that they are looking for. Executive Summary: Save this for last. This is typically a big picture summary of the business plan. Company Overview: The company overview tells your brands story and where this product fits. Market Analysis: Everything from the estimated market size to a review of the competition in your industry. Products And services: What you sell, and critical features of the products or services. Marketing Plan: Your plan of execution to get your product noticed, the strategic decisions made about things like pricing strategy and s detailed plan of action to promote the offers actively. Logistics and operations plan: The path from raw materials to the hands of the consumer and how each step fits together. Financial Plan: Most sellers need this area completed more than they know. As your business grows, having a solid understanding of the role revenues play and the connections between income, payables, supplies, and inventory. Stay focused on why you are doing this in the first place. Keep your goals top of mind when creating a business plan. Take the game plan one section at a time. It may look overwhelming on first glance, but you will be a pro at your product by the time you are finished, one section at a time. Immediately below are your templates. The business plan and Financials Worksheet are both stored on Google. You will need to copy them before using them. 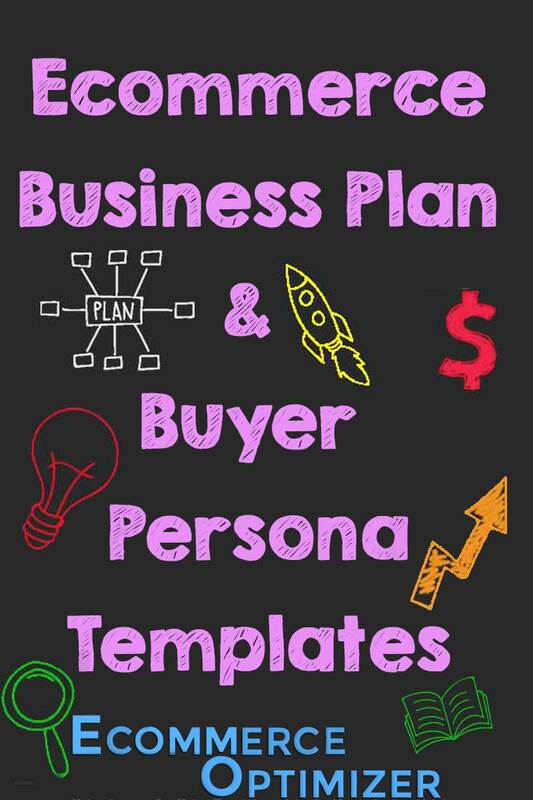 The Buyer Persona Worksheet is a pdf. As you advance to each section of the Business Plan, you will want to replace our description with the actual text that that you want inserted. The Financials Worksheets has linked cells to populate from one sheet to the next and each tab has detailed instructions. Every minute and bit if effort that you spend ion doing a thorough job on this is going to pay off for you in the future, make the effort. As things unfold down the line, keep in mind that a lot of things will happen. Rarely does business proceed and follow the business plan exactly, but you will have more tools and choices available to you by doing this. The first two downloads are located on Google Docs and Google Sheets. You should have a gmail address to be able save them and work on them.